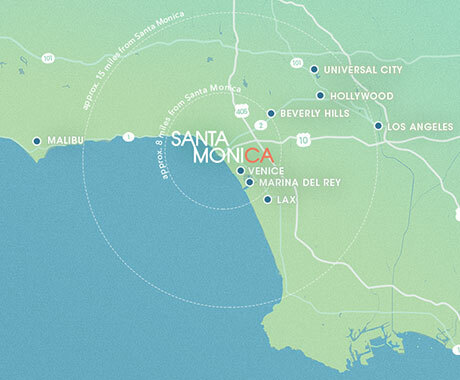 Browse some of Santa Monica’s major events and festivals taking place throughout the year. They're among the best events found in Southern California and the Los Angeles area. For an up-to-date daily event guide, visit the Santa Monica events calendar. Gather along beachfront Ocean Avenue to cheer on LA Marathon participants as they cross the finish line. Celebrate Earth Day with a family-friendly exploration of more than 100 amazing species of marine animals and plants, all found in the Santa Monica Bay. Toast mom with a sunny array of local brunch options, from classic bacon and eggs to lobster and Champagne. This slate of outdoor movies kicks off in May (and runs through Sept), taking place around L.A., including at Santa Monica High School, and is accompanied by some of the best food trucks in SoCal. Bonus: Leashed pets are welcome! MAINopoly is a fun, interactive community event that mirrors the classic board game, and gives participants a culinary walking tour of Main Street's finest restaurants, juiceries, ice cream stores, coffee shops and more. Live music takes over Main Street, with multiple stages and acts performing throughout the day. Santa Monica Pier 360 offers epic competition through a variety of disciplines on sand and sea while also providing an memorable day of family friendly entertainment. On the Pier Deck and beach, participants and spectators will enjoy the Beach Festival featuring live music, Polynesian dancing, food, Rum & Beer Garden and a one of-a-kind surf & skate history museum. A true slice of local life, this beloved patriotic annual community celebration draws thousands of spectators along Main Street. Escape from the cubicle and enjoy a meal at Downtown Santa Monica’s Third Street Promenade with the return of everyone’s favorite Summer lunch series, Picnic on the Promenade. Ease into the weekend every Friday in July and August with classic board games, Ping-Pong tables, giant Jenga and Connect4. A DJ will be spinning smooth grooves to help you digest the stresses of the work week. Bring your lunch or grab-and-go from one of Downtown’s celebrated eateries and soak in the sun! Enjoy summer evenings at Annenberg Community Beach House's sunset swims. These adult-only pool sessions happen on select dates so be sure to check their website for details. This free, family-friendly sampling of jazz happens Sunday evenings in Gandara Park. Santa Monica’s four farmers markets run year-round, but summer is high season, with great people watching, not to mention an array of sweet seasonal fruits and delicious berries. Keep the beat all summer with a diverse mix of mainstream headliners and up-and-coming indie bands. Bike, bus, train or walk your way to a free, engaging and fun way to explore your city. Enjoy two miles of car-free streets and discover local food, music, shops, culture, dance and games with family and friends. Grab a picnic from a local restaurant or sit down and eat while you enjoy the view of all kinds of people enjoying Santa Monica. 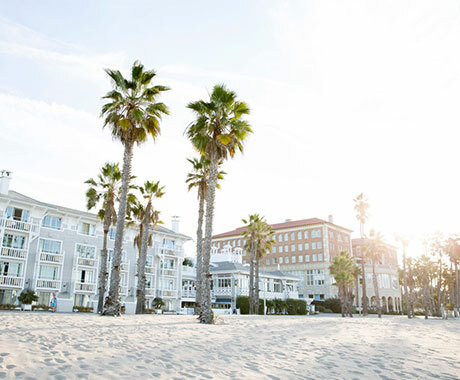 Fall is the perfect time to enjoy Santa Monica’s sandy beaches and stunning sunsets with typically smaller crowds and sunny, warm weather into November. In October, don’t miss Front Porch Cinema, outdoor movies hosted by Santa Monica Pier. Get holiday ready with autumn-inspired cooking/baking classes at The Gourmandise School of Sweets and Savories. Get your pumpkin and carve it, too—every year, the downtown farmers market hosts an “all-you-can-carry” pumpkin patch, in which you get to keep as many pumpkins as you can hold, all for one price. Don’t miss the kid-favorite no-carve pumpkin decorating event at the Main Street and Pico markets. Skip the cooking and savor Santa Monica’s culinary scene with family and friends—many local restaurants and hotels host special Thanksgiving meals. Find the perfect presents at this family-friendly celebration complete with live music, Santa Claus, and can’t-miss sales. Celebrate the season with a tree lighting at the California Heritage Museum, candlelit walks to the famous Shopping Cart Tree, and festive bashes hosted by Main Street stores. Pico Boulevard’s Yuletide festivities include refreshments, art, entertainment, and shopping specials. Downtown Santa Monica transforms into a winter wonderland complete with ice skating, tree lighting, Santa visits, and much more. Santa Monica’s holiday shopping scene boasts sunny outdoor shopping areas like Main Street, Montana Avenue, Third Street Promenade and Santa Monica Place. The city’s most celebrated chefs create healthy, New Year’s resolution–friendly cuisine. Couples can share a romantic dinner, sip cocktails at sunset, and soak in spectacular ocean views at one of many esteemed dining destinations.